Three matched 4GB modules for use in high performance for the Intel Core i7 Triple Channel systems. Limited Lifetime Warranty. 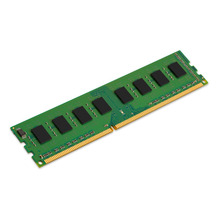 Memory Type: DDR3; Speed: 1333MHz. 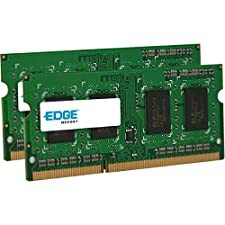 Intel XMP (Extreme Memory Profile) support. 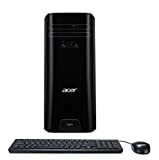 Please refer the User Guide before use..
AMD A-Series Quad-Core A10-7800 Processor 3.5GHz (up to 3.9GHz). 2TB 5400RPM SATA Hard Drive. Integrated AMD Radeon R7 Graphics.Windows 10 Home. 10/100/1000 Ethernet port provides a secure and reliable wired connection for potentially faster download and upload speeds. 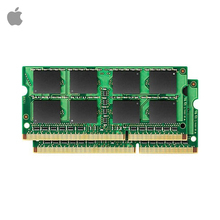 8GB + 4GB (12.0GB), 1333MHZ, DDR3 SO-DIMM, PC3-10600, 204 Pin, 1.5V, 128Meg x 16, Non ECC, Dual Rank, Non Parity, Memory Upgrade Kit Memory Upgrade Module For Mac. 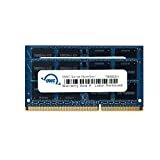 Memory Upgrade Module For 2011 MacBook Pro, Mid 2010/2011 21.5 inch & 27 inch iMac Models, 2011 Mac mini and PC Laptops compatible with Intel / AMD. Compatible with 27inch iMacs: Mid 2011 iMac Model ID: iMac12,2 and Mid 2010 iMac Model ID: iMac11,3. Compatible with Mac mini: Mid 2011 Model ID: Macmini5,1 & Macmini5,2 and Mid 2011 Server Model ID: Macmini5,3. Compatible with MacBook Pro: 13inch, 15inch, 17inch 2011 Models: MacBookPro8,3 MacBookPro8,2 MacBookPro8,1. 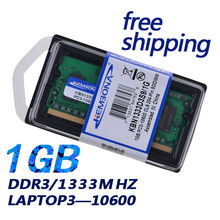 Product Specs: Technology: DDR3 SO-DIMM Density: 4GB (4096MB) + 8GB (8192MB) RoHS: Yes Comp Count: 16 Depth: 256Mb Width: x64 Pin Count: 204-pin Op. Temp. 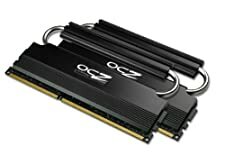 : 0C to +85C Data Rate: DDR3-1333 Speed: PC3-10600 CL: CAS 9-9-9-24 Cycle Time: 1.875ns Voltage: 1.5V Comp Config: 256Mb x 8 ECC: Non ECC Module Ranks: Dual Rank Register: Non Parity. Low Noise 8-Layer PCB Meets and/or Exceeds Apple/Intel Specifications. Fully Compliant with JEDEC specification. RoHS Certified Warranty Safe Upgrade. 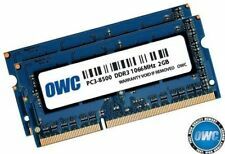 OWC Memory Lifetime Limited Warranty including the OWC Lifetime Advanced Replacement Program. Compatible with: iMac: 27-inch Mid 2011 (May, 2011) Model ID: iMac12,2 (2.7GHz i5, 3.1GHz i5, 3.4GHz i7);iMac: 27-inch Mid 2010 (July, 2010) Model ID: iMac11,3 (2.8GHz, 2.93GHz, 3.2GHz, 3.6GHz);Mac mini: Mid 2011 (July, 2011) Model ID: Macmini5,1 & Macmini5,2 (2.3GHz, 2.5GHz, 2.7GHz); Mac mini: Mid 2011 Server (July, 2011) Model ID: Macmini5,3 (2.0GHz); MacBook Pro: 17-inch 2011 (October, 2011) Model ID: MacBookPro8,3 (2.4GHz, 2.5GHz); MacBook Pro: 17-inch Early 2011 (February, 2011) Model ID: MacBookPro8,3 (2.2GHz, 2.3GHz); MacBook Pro (15-inch 2011)(October, 2011)Model ID: MacBookPro8,2 (2.2GHz, 2.4GHz, 2.5GHz); MacBook Pro: 15-inch Early 2011 (February, 2011) Model ID: MacBookPro8,2 (2.0GHz, 2.2GHz, 2.3GHz); MacBook Pro: 13-inch 2011 (October, 2011) Model ID: MacBookPro8,1 (2.4GHz, 2.8GHz); MacBook Pro: 13-inch Early 2011 (February, 2011) Model ID: MacBookPro8,1 (2.3GHz, 2.7GHz); PC Laptops: Compatible with Intel / AMD Process based PCs capable with the specifications listed above. Memory complies with JEDEC Specifications, document JESD79-3B.